ROMAN EMPIRE. 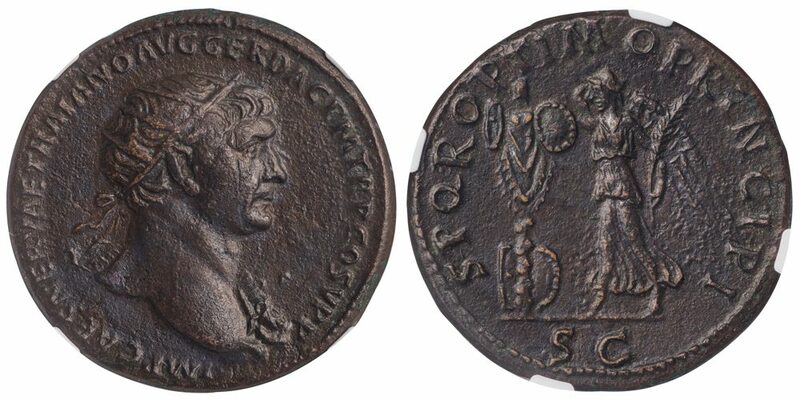 TRAJAN, AD 98-117. 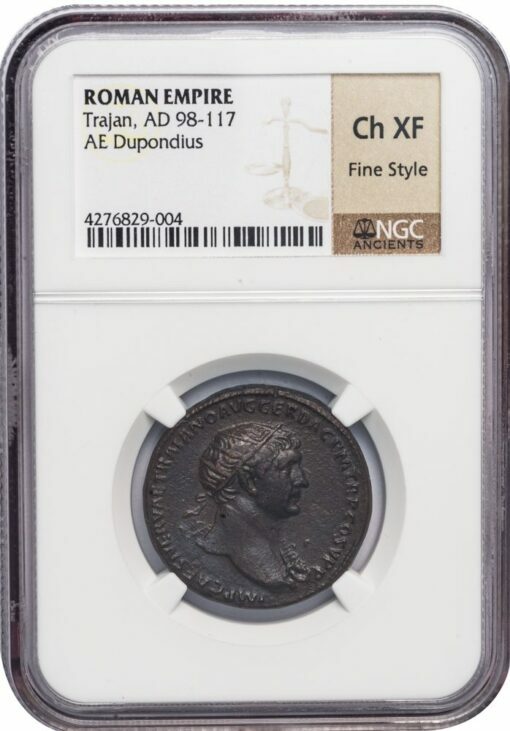 Bronze Dupondius, struck in Rome ca. AD 106-107. Obv. IMP CAES NERVAE TRAIANO AVG GER DAC P M TR P COS V P P, radiate draped bust right, with gorgoneion. Rev. S P Q R OPTIMO PRINCIPI, Victoria striding left, placing shield on trophy, SC in exergue. RIC II 525; Woytek 257b. NGC graded CHOICE XF, FINE STYLE.